in High Point, NC and beyond! 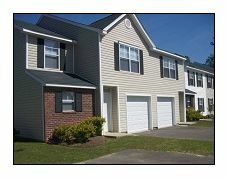 The Islands Apartments and Townhomes, apartments for rent in Charleston S.C, are located in the James Island community. These innovatively designed townhome style apartments for rent are just minutes away from everything you need. In addition to the convenient location, these spacious one, two, and three bedroom apartment townhouses offer many wonderful amenities including, private entrances, pool with sundeck, 24-hour cardiovascular fitness center, clubhouse with business center and WIFI. The Islands is also a pet-friendly apartment community so your four-legged friends can enjoy living with you as well. 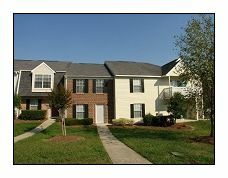 Looking for a great apartment for rent in Summerville, South Carolina? Look no further than Bridge Pointe Apartments and Townhomes. These innovatively designed townhouse apartments for rent are just minutes away from everything you need. Searching for that perfect apartment for rent? 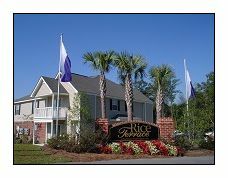 Check for availablability at Rice Terrace Apartments and Townhomes in Columbia, SC. View floor plans, photos, and community amenities. Make Rice Terrace your new home. Looking for an apartment to rent near Asheville, North Carolina? Look no further than South Ridge Apartments and Townhomes in the community of Arden. These innovatively designed townhome style apartments for rent are just minutes away from everything you need. 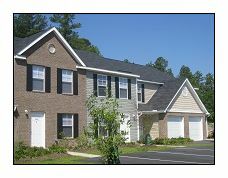 Looking for an apartment to rent in Mooreville, North Carolina? 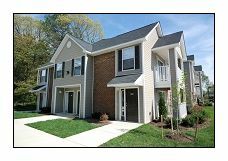 Look no further than Talbert Woods Apartments and Townhomes. These innovatively designed townhome style apartments for rent are just minutes away from everything you need. We just made finding an apartment for rent in Asheville, NC easy! We have spacious one, two and three bedroom apartment homes available. Haw Creek Mews Apartments and Townhomes is also a pet-friendly apartment community in Asheville so your four-legged friends can enjoy living with you as well. You don’t want to rent just any townhouse apartment, you want to rent the right townhouse apartment. 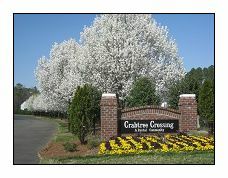 Come by Crabtree Crossing Apartments and Townhomes in Morrisville, NC to see if these townhouses are right for you! We have spacious one, two, and three bedroom apartment homes that offer many wonderful amenities including a fully equipped fitness center and resort style swimming pool. Crabtree Crossing is also a pet-friendly apartment community in Morrisville so your four-legged friends can enjoy living with you as well. 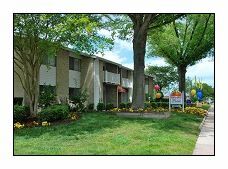 Looking for an apartment to rent in Newport News, Virginia? Look no further than River Mews Apartments and Townhomes. These innovatively designed townhouse apartments are just minutes away from everything you need. In addition to their convenient location, these spacious one, two, and three bedroom apartment homes offer many wonderful amenities including a 24-hour fitness center, community clubhouse, and two swimming pools. A pet-friendly apartment community. Before you choose your new home, come by Mill Creek Landing Apartments in Newport News, VA. Our waterfront apartments for rent are just minutes away from everything you need. In addition to the convenient location, these spacious two and three bedroom apartment homes are within walking distance to Buckroe Beach and offer many wonderful amenities including panoramic views of the Chesapeake Bay. 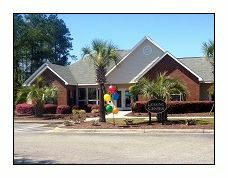 Oldfield Mews Apartments and Townhomes is located in Bluffton, South Carolina conveniently close to both Beaufort, South Carolina and Hilton Head Island. Situated along the beautiful May River, Bluffton has been called “the last true coastal village of the south.” Stop by today to see if these apartments for rent are going to be your new home! Looking for a townhome style apartment for rent in Charleston, S.C.? Shadowmss Pointe Apartments and Townhomes might be the perfect new home. These innovatively designed townhome-style apartments for rent are just minutes away from downtown. In addition to the convenient location, these spacious one, two, and three bedroom apartment homes offer many wonderful amenities including large pool, 24-hour fitness center, picnic area, play park, and full service business center. A pet friendly community. Goose Creek, South Carolina is a quiet community with small town southern character. It’s part of the Charleston-North Charleston-Summerville metropolitan area. Most of the Naval Weapons Station Charleston is located in Goose Creek. 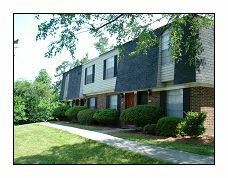 If you are looking for a townhouse apartment for rent in Goose Creek, please stop by to view our spacious one, two, and three bedroom apartment homes. Find your next home in Rock Hill, South Carolina at the Galleria Pointe Apartments and Townhomes. Conveniently located, these spacious one, two, and three bedroom apartment homes offer many wonderful amenities from an elegant clubhouse, 24-hour cardiovascular fitness center, resort-style pool and business center with WIFI. Galleria Pointe is also a pet-friendly apartment community in Rock Hill so your four-legged friends can enjoy living with you as well. Looking for a new home in High Point? Look no further than Laurel Bluff Apartments and Townhomes. These innovatively designed townhome-style apartments for rent are just minutes away from everything you need. In addition to the convenient location, these spacious one, two, and three bedroom apartment homes offer many wonderful amenities including private entrances, a resort-style pool, an elegant brand new clubhouse, 24-hour fitness center, and a full service business center. Laurel Bluff is also a pet-friendly apartment community. 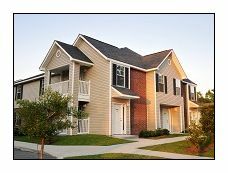 Welcome to Indian River Apartments and Townhomes located in Virginia Beach, VA. We offer two bedroom garden apartment homes, three bedroom garden homes and two bedroom townhomes with 1.5 baths. These spacious bedroom apartment homes offer many wonderful amenities including private entrances, laundry facilities, and mature landscaping, all in a tranquil neighborhood. Indian River is also a pet-friendly apartment community in Virginia Beach so your four-legged friends can enjoy living with you as well. Find your next home in Richmond, Virginia. Lakefield Mews Apartments and Townhomes has one, two and three bedroom apartments for rent. Henrico County is located near Richmond, Virginia in the Richmond-Petersburg region and constitutes approximately one third of the Richmond metropolitan area. A well-planned community, the county consists of large areas of farmland adjacent to beautiful residential communities. Though many of its residents work in Richmond, the county also has well-developed office and retail components. Henrico County is home to the Richmond International Raceway and the Richmond International Airport. 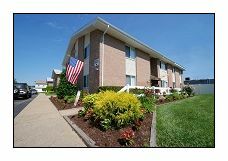 Looking for a new apartment for rent in Virginia Beach, Virginia? Look no further than The Palms Apartments. These innovatively designed garden apartments for rent are just minutes away from everything you need. In addition to the convenient location, these spacious one, two, and three bedroom apartment homes offer many wonderful amenities from playgrounds, onsite laundry facilities to a beautiful pool. The Palms Apartments is also a pet-friendly apartment community in Virginia Beach so your four-legged friends can enjoy living with you as well. 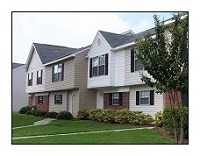 Welcome to Longhill Pointe Apartments and Townhomes located in Fayetteville, NC. We offer one, two or three bedroom rental options. Garages available. Looking for a new home in Apex, NC? Look no further than Beaver Creek Apartments and Townhomes. These innovatively designed townhouse apartments for rent are just minutes away from everything you need. In addition to their convenient location, these spacious one, two, and three bedroom apartment homes offer many wonderful amenities from a cardiovascular fitness center to a resort-style pool. Beaver Creek is also a pet-friendly apartment community in Apex so your four-legged friends can enjoy living with you as well. In addition to the convenient location, these spacious one bedroom apartment homes and two bedroom townhomes offer many wonderful amenities from front door parking to an elegant clubhouse, two playgrounds, and pool. The Mews is also a pet-friendly apartment community in Durham so your four-legged friends can enjoy living with you as well. Find your new home in Raleigh North Carolina at Beachwood Park Apartments and Townhomes. 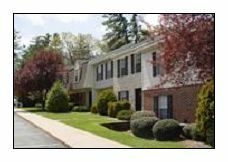 These innovatively designed townhouse apartments are conveniently located and have many great amenities. These townhome apartments for rent are everything you want in your home: comfort, style, and convenience. Ideally located off Route 64 East from I-440, they are also just minutes from Wake Medical Center. 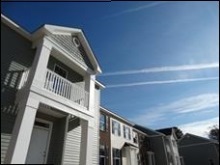 Find your new home in Raleigh North Carolina at Loch Raven Pointe Apartments and Townhomes. These innovatively designed townhouse apartments are conveniently located and have many great amenities. These townhome apartments for rent are everything you want in your home: comfort, style, and convenience. Ideally located off Route 64 East from I-440, they are also just minutes from Wake Medical Center. Looking for a new home to rent in Savannah, Georgia? You've found the perfect place. Welcome to Fords Pointe Apartments and Townhomes, innovatively designed townhouse apartments for rent. Select from a variety of comfortable one, two, and three-bedroom floor plans. Fords Pointe townhome style apartments boast large rooms and roomy closets. This unique property also offers many amenities including an elegant clubhouse, fitness center, business center, and resort-style pool, all with free Wi-Fi. Fords Pointe is a pet-friendly apartment community in Savannah so your four-legged friends can enjoy living with you as well.